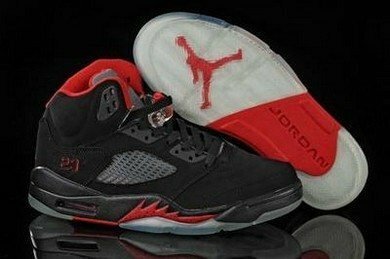 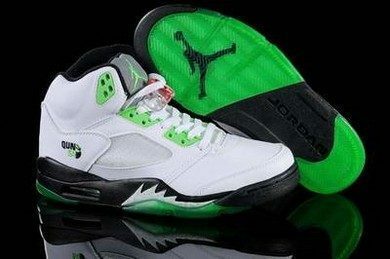 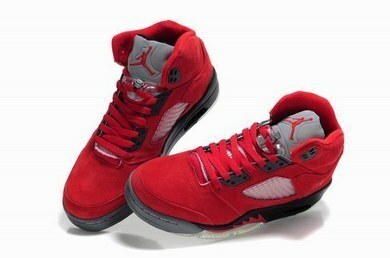 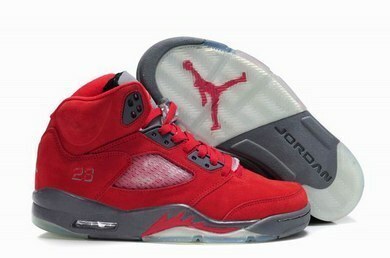 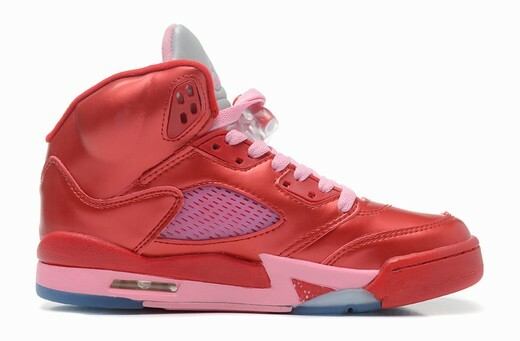 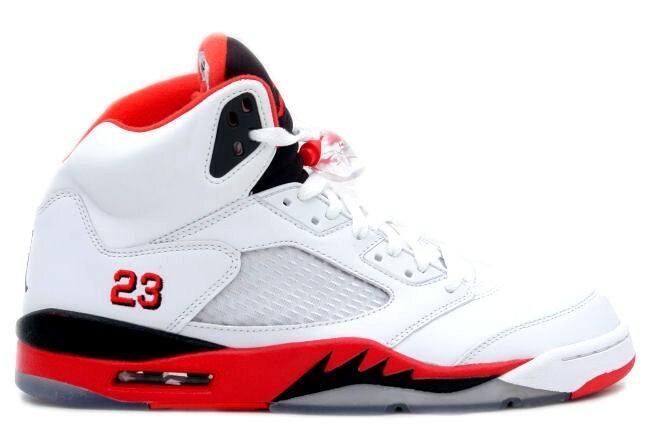 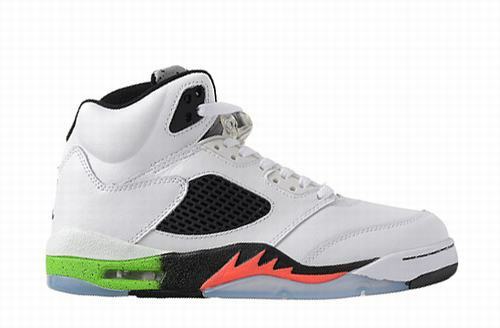 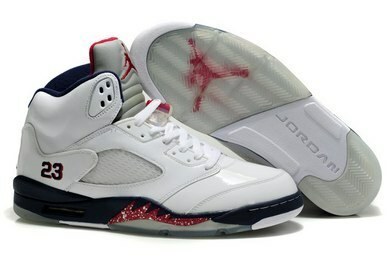 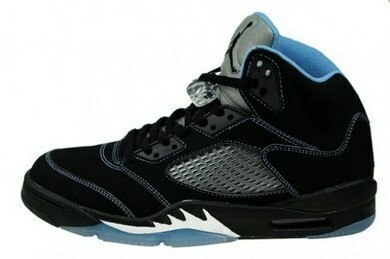 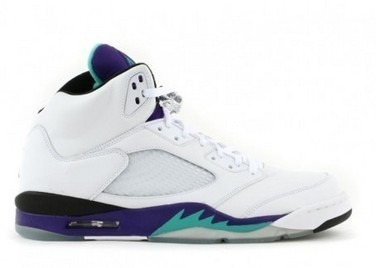 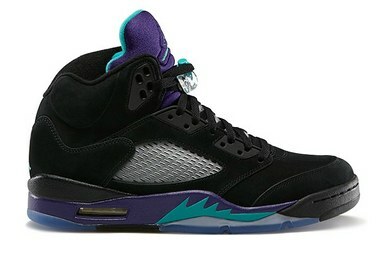 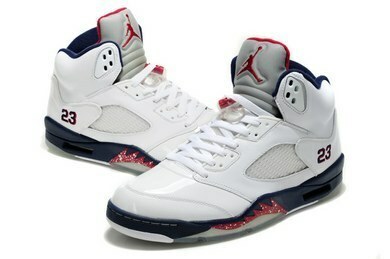 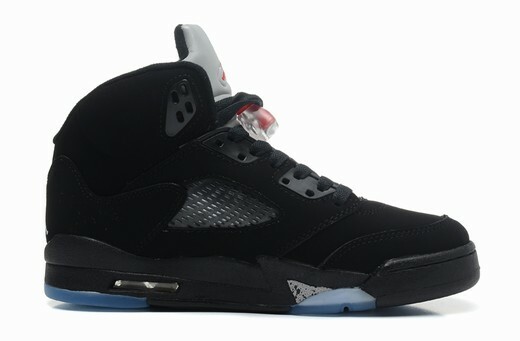 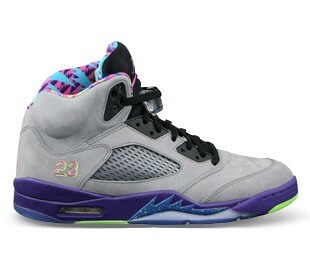 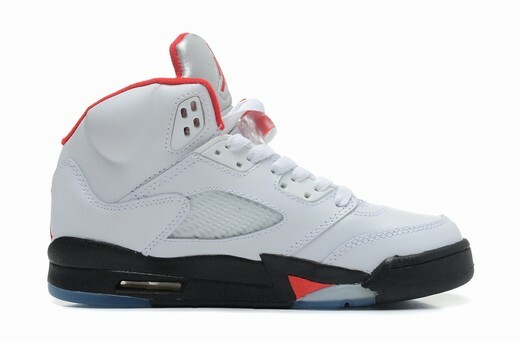 The Air Jordan V was released on February 1990, designed by Tinker Hatfield again. 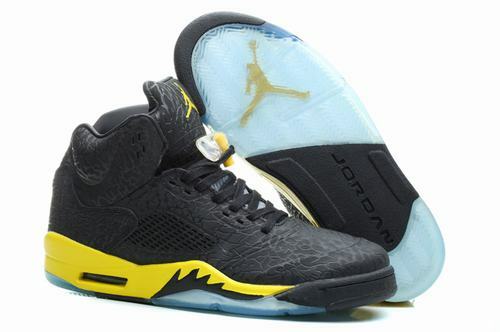 Some elements were carried over from the Air Jordan IV, but overall they were a completely new look. 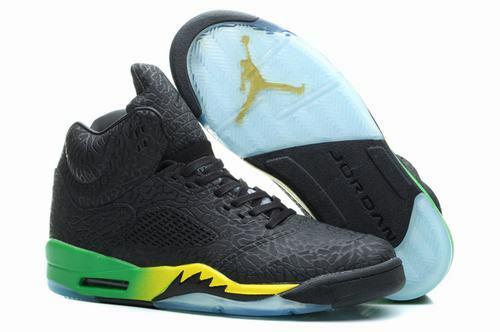 Some of its new features were a reflective tongue and a translucent rubber soles. 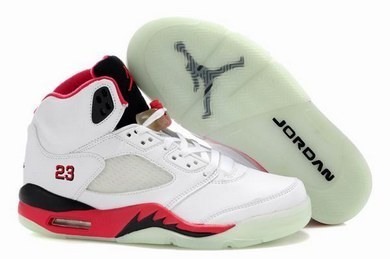 The soles gave them a new look, but it yellowed over time when exposed to moisture. 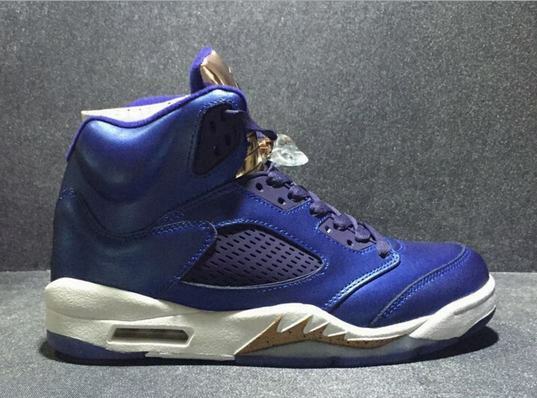 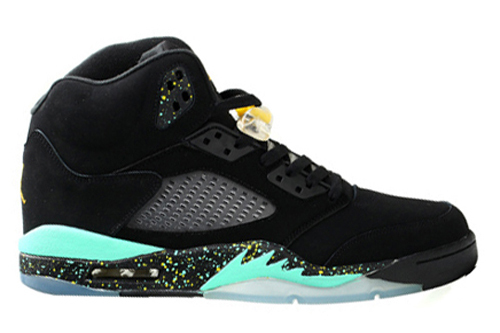 The Jordan V, VI, XI and XXII all feature the translucent outsole. 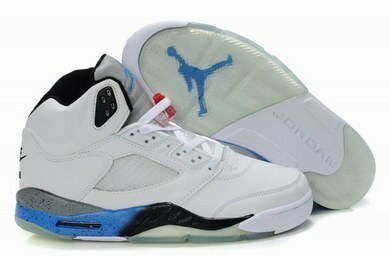 A new feature to the Air Jordan V was its base top with lace locks, making strapping on the shoe easy. 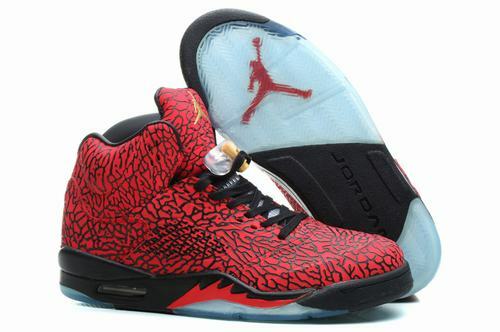 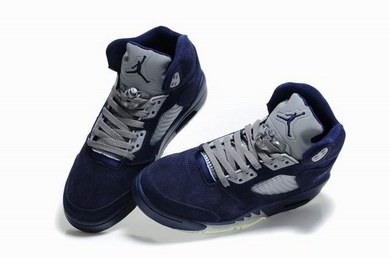 The lace-lock feature partly inspired the "Air Jordan Spiz'ike". 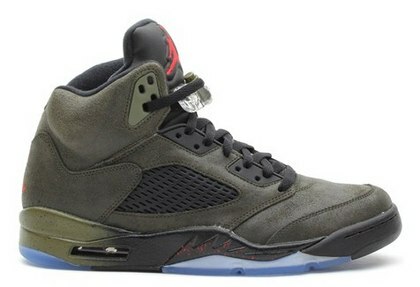 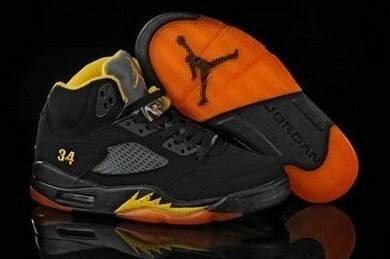 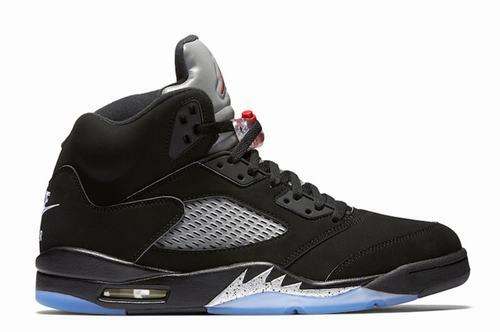 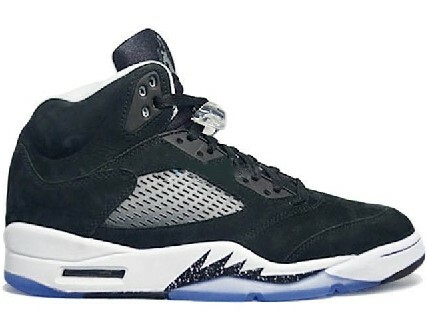 Hatfield is believed to have drawn inspiration for the Air Jordan V from World War II fighter planes, which was most notably visible in the shark teeth shapes on the midsole. 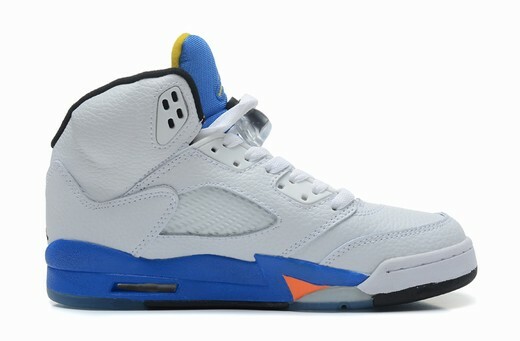 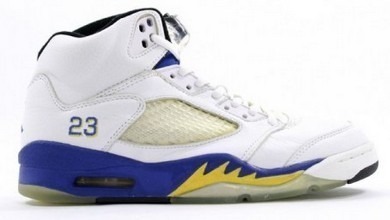 The Air Jordan V was reintroduced in 2000, including a new color way featuring Michael Jordan's high school (Laney High) colors. 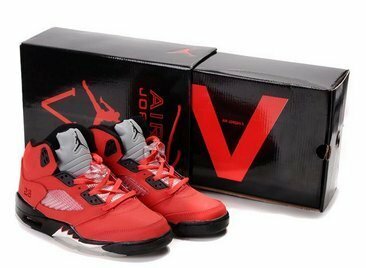 In 2006 several V's were reintroduced, including the LS "Grape" V's, the LS "burgundy" V's, the "Fire-Red" V's, the "Green Bean" V's, and "Stealth Blue" V's. 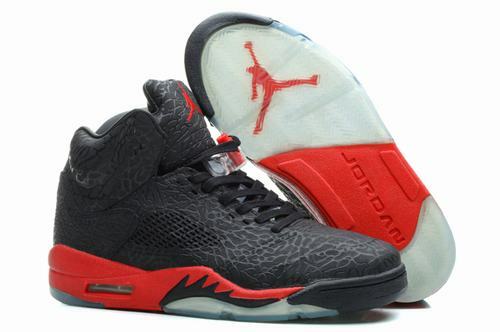 Along with the latter, a very limited laser design and the black/metallic/fire red colorways were released in early 2007. 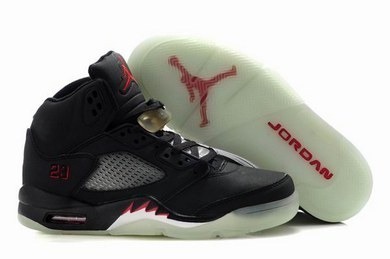 In the month of May 2009, Air Jordan confirmed the release of an "DMP II" consisting of two Air Jordan V's. 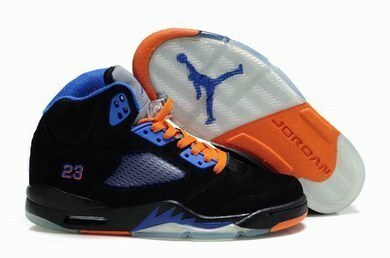 The second color way features a 3M material base with black laces and midsole. 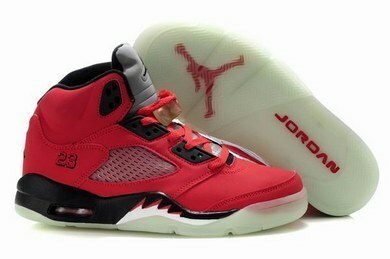 The retail price was $310. 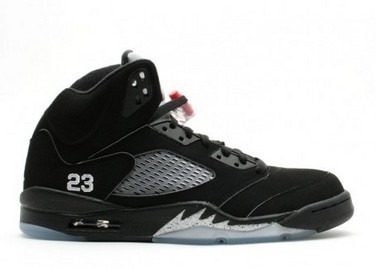 The Air Jordan V was originally released in 1990. 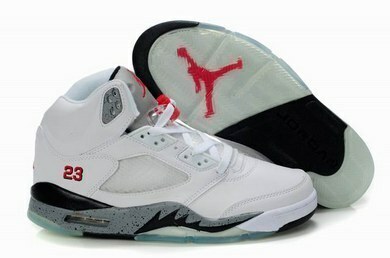 It was retroed in 2000, 2006, 2007, 2008, 2009, 2011 and 2013.